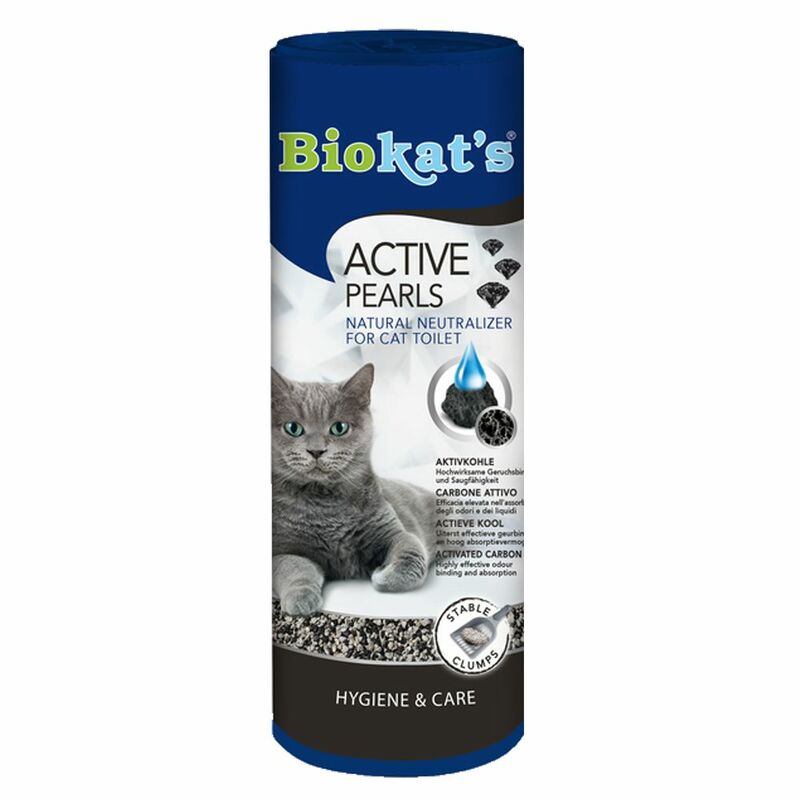 Biokat's Active Pearls are a great way to help stop nasty litter tray smells. These little granules are made from 100% natural clay and activated charcoal, both of which are very effective in absorbing urine and faeces odours. This powerful odour absorber is completely natural. The activated charcoal is gained from coconut shells, a renewable raw material. Activated charcoal is an extremely porous material with a huge surface area. Just 1g of activated charcoal produces approx. 1000 square metres of coverage. Activated charcoal is very effective in binding bad odours so that they no longer permeate your home. Active Pearls also help to improve clumping action. This means that you can use your usual cat litter for longer. This product, as are all Biokat's products are made in Germany. Biokat's Active Pearls at a glance : Odour neutraliser for cat litter Completely natural, highly effective:noticeable reduction in nasty odours With activated charcoal: highly porous charcoal with enormous inner surface – 1g = approx. 1000 square metre surface – effective odour binding 100% natural clay for reliable absorption Improves clumping action Litter can be used for longer Made in Germany Recommended dosage: Sprinkle evenly over the litter as required.